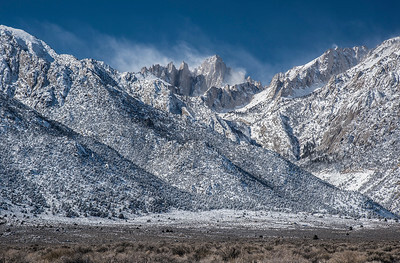 We woke up to this spectacular view of the Eastern Sierras from where Route 395 crosses Route 136. 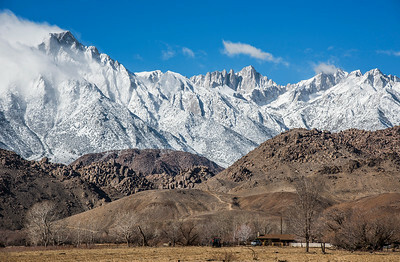 From our hotel we saw Mt Whitney with the Alabama Hills and a Lone Pine ranch in the foreground. 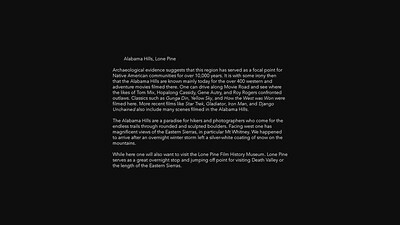 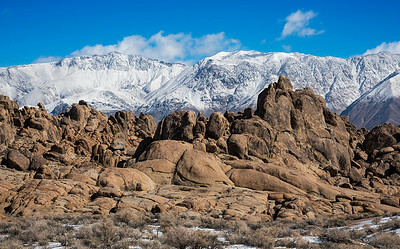 View of the White Mountains, home of the ancient Bristlecone Pines, with Alabama Hills in foreground. 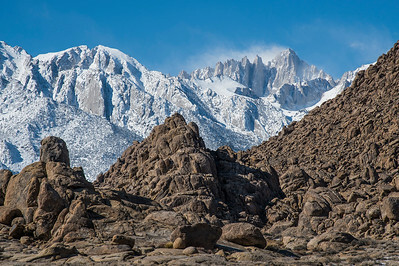 View of Mount Whitney from the Alabama Hills, Lone Pine, CA. 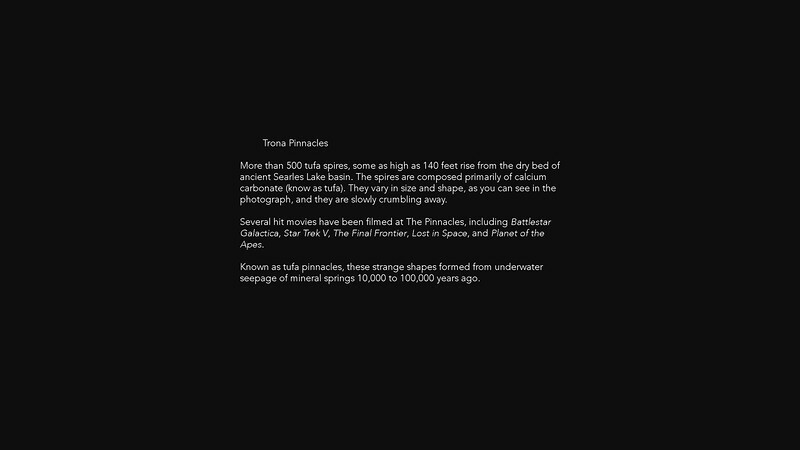 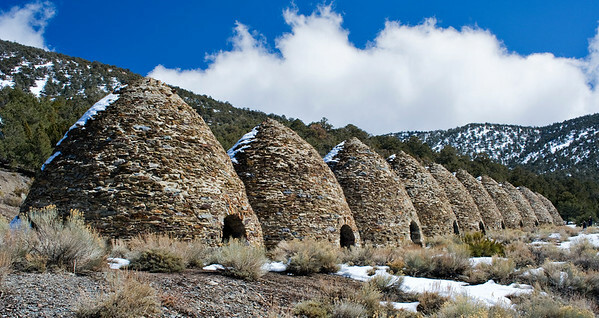 Trona Pinnacles, the site of many movies: Planet of the Apes, Battlestar Galactica, Star Trek V, etc. 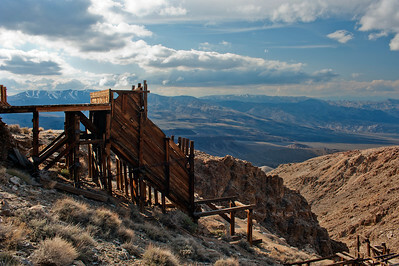 The Skidoo Quartz Stamp Mill perched at 5689 feet above Death Valley. 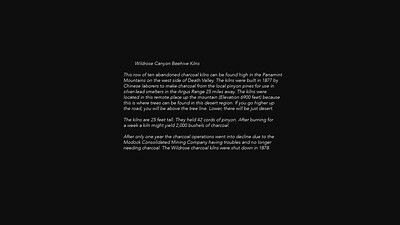 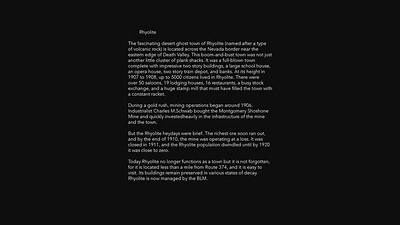 Skidoo in 1907 boasted almost 500 citizens. 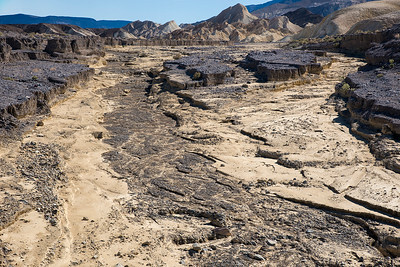 Furnace Creek Wash as it approaches Zabriskie Point, Death Valley, off camera to the right. 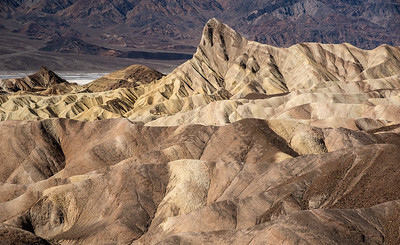 Manley Beacon as viewed from Zabriskie Point, Death Valley, CA. 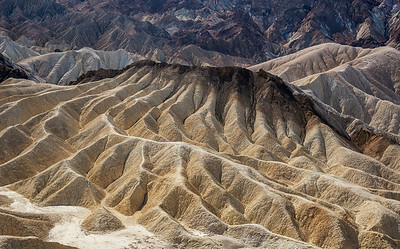 The Artist's Palette along Artist's Drive, Death Valley. 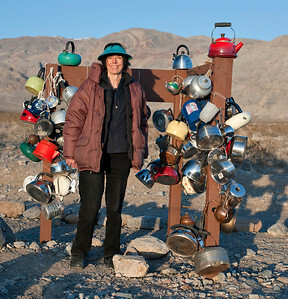 Archaeologist Linda ponders artifacts left at Teakettle Junction enroute to The Racetrack Playa. 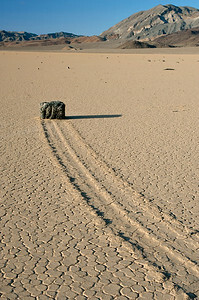 Playa known as the Racetrack because of the presence of rocks that move mysteriously in windy freezing weather leaving long tracks. 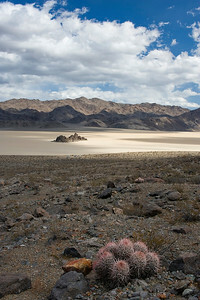 A group of rocks known as The Grandstand out on the Racetrack Playa. 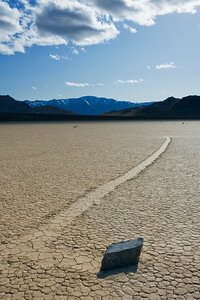 A mysterious moving rock out on the Racetrack Playa makes a right angle turn. 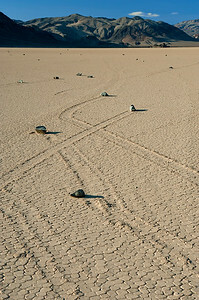 A group of moving rocks on the Racetrack Playa. 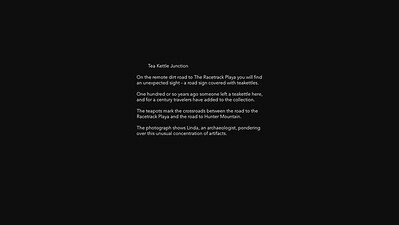 Sometimes they follow similar paths. 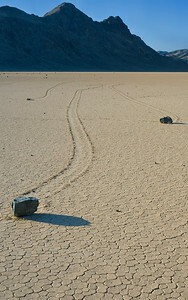 Other times the rocks cross paths or head in different directions, but likely not simultaneously. 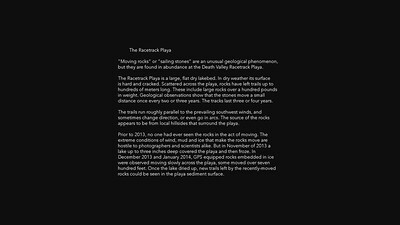 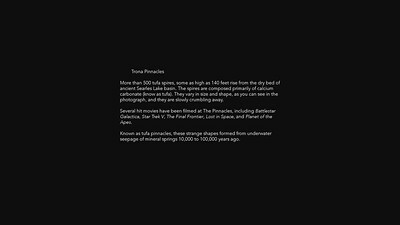 Some rocks are quite large, as is this one.